I didn’t know a lot about this going into it, I knew it was based on a book (which I had never read) and that the author of the book was writing/directing the film. I was also aware of most of the cast given that they were all relatively big names, but, I had no idea what the story was actually about or whether it was a comedy or drama or whatever. The reason I wanted to see it was because the music in the trailer was pretty cool and Ezra Miller is one of my favourite young actors. I went in fearing the worst and hoping for the best. I loved it! It was as though I was watching a rather dark John Hughes film, I came out of the cinema feeling uplifted and wanting to talk about what I had just seen, which is amazing because it’s very rare that a teen drama has any sort of effect on me other than annoyance! The performances from the whole cast were very good, Logan Lerman and Emma Watson surprisingly so, when called upon the adult cast members all put in small yet memorable performances, but for me Ezra Miller steals it with another great performance. Seriously if you haven’t seen this kid act check out City Island, Another Happy Day, We Need To Talk About Kevin and Perks because he has a BIG future. As far as Stephen Chbosky goes he does a great job with the direction of the film as well as the script. I don’t want to say too much about the story as I don’t want to spoil it for anyone, but believe me it’s great! My one complaint would be that given it’s set in the early 90’s and that the main characters are supposed to be misfit outsiders, I found it difficult to believe that they had no idea what “the tunnel song” was, surely teenagers from this time would have heard Heroes by David Bowie before? It’s one of the most recognisable songs by one of the most popular rock stars ever! As I said at the start I was not excited for this film, I thought it looked interesting but in truth the only reason I went to see it was because I’m a fan of Ezra Miller and Paul Rudd. So if it won me over I’m sure it can win most people over! GO SEE IT! So lately I’ve been trying to think of good, original ideas for a high concept film and I’ve come to the realisation that it’s a lot harder than I’d imagined it to be. Spending so much time trying to come up with an idea got me thinking about what a high concept even is. I’ve spent a little time looking it up online and from what I’ve read it is probably best described as being a story that can be described in one sentence and that wouldn’t need big name actors to sell it’s appeal, but, it’s worth pointing out that opinions on this differ wildly and that does not seem to be a set definition for what a high concept is. Despite all that I have actually managed to come up with a few good ideas that I’ve managed to map out first draft plans for and I finished the first draft of another last week. Also had an idea for a new short which I’ll write more about when I do a blog update on my current film projects. I think the best way to come up with a high concept is to just simply think of an idea and then make it as extreme as possible. A good example of this is Jurassic Park, Michael Crichton apparently wanted to write a story about cloning as at the time there were a lot of stories about the possibility of cloning sheep. So all he did was take the idea of cloning and stretch it out to the biggest extreme he could imagine, dinosaurs. Simply by making things bigger, harder and more exotic you make the concept higher, of course this is just my opinion and I think that makes it sound easier than it actually is! This is a response to the few negative reviews of Looper I have seen as I thought Looper was great and that the negative reviews seem to be based on people needing everything explained to them (Spoiler Warning!!!!!!). 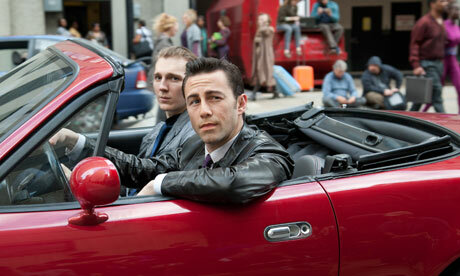 Looper was a fantastic, sleek, smart Sci-Fi/Action film with an amazing premise. I mean could you kill your future self?! The thing I loved most was that there was no Inception like 30 minute intro explaining everything (don’t get me wrong I loved Inception) and when any character asks about time travel the subject is dismissed with a “it will fry your brain” response. This was a film about story and character not about the mechanics of time travel. The reason I decided to review Looper is because a few reviews have reminded me that I’m fed up of this culture where people want a film to explain everything to them, I think it’s fine when a film leaves certain things up in the air. It’s never said, but, it’s quite obvious the Rainmaker is closing the loops because he has no need for Loopers. He’s taken over the mob and is capable of disposing of the bodies himself (by destroying them on a molecular level) so why would he have to send them back in time? I’ve already pointed out that I actually thought it was GOOD that they didn’t go into detail about how time travel works. I’d rather a film focused it’s attention on story and character as well as giving us the occasional mind blowing action set piece! I loved all the stuff on the farm, Rian Johnson has a habit of slowing things down in the second act, watch Brick and Brothers Bloom and you’ll see it there as well. Sometimes filmmakers want you to fill in a few dots yourself, which I’m more than fine with, I understand why some people want to go to a film and not have to do any work, but to those people I say, just because a film doesn’t spell it all out for you doesn’t mean it’s a BAD film it just means the filmmaker is treating you like an equal rather than an idiot, which is what most blockbuster films seem to think we are these days. All in all I’d say it’s the best action/blockbuster film of the year by quite a distance and I cannot wait for Rian Johnson’s future work. 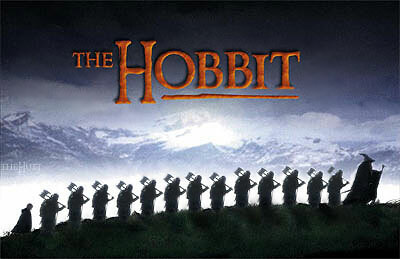 So you’re angry that The Hobbit is going to be three films? I love Tolkien. Have done ever since I read The Hobbit as a child. There is something about his world that just completely draws me in as reader and left a huge effect on me to this day. As a teenager I read pretty much everything based in Middle Earth because I just couldn’t get enough of this other world filled with rich, vibrant, colourful imagery and the huge assortment of mythical characters. I thought The Lord of the Ring’s films were absolutely fantastic, everything from the direction to casting was spot on. Their financial and critical success was completely deserved and even though a lot was changed/left out I feel that it was all for the benefit of the overall film experience (but more on that in a bit). Since the announcement that The Hobbit will in fact be split in three, there has been quite a vocal negative response, but, I think Peter Jackson did such a good job with LOTR that we should all trust him to do the same with The Hobbit. Yes, The Hobbit is a shorter book than any of the three books from LOTR, but, there is so much story and material that isn’t included in the book that it is by no means as big a stretch as people are making out. I mean the book doesn’t cover what actually happens in the battle of five armies, I’m sure they will cover thoroughly everything Gandalf gets up to when he disappears and on top of that there is also the appendices from LOTR which Jackson has always stated he’d love to use. A lot of people complain about how much Jackson changed when adapting LOTR for film, but for me that didn’t matter. I judged the films on their own merits rather than constantly judging them up against the books chapter by chapter. A lot that works on the page just doesn’t translate to film, Peter Jackson as a film-maker realised this and (in my opinion of course) the films are all the better for it! I don’t necessarily think that making The Hobbit as three films is a good thing, but there is potentially enough material to make three films and given the success of Jackson’s LOTR trilogy maybe we should give him the benefit of the doubt. Cinema-goers loved Tony Scott, even if they didn’t know his name. I’m sure by now you have all heard the news of Tony Scott’s death, so, this post isn’t going to be about that. Instead I will focus on his work, because after all that is what he will be remembered for. Most people think of Tony as the less successful Scott brother, forever plugging away in Ridley’s shadow. So it may come as something of a surprise to learn that his films on average have made over £1million more than his brother’s have. Like his older brother he honed his film-making skills in advertising and it showed a lot more in his work than it ever has in his brothers. Tony Scott made thrilling sugar coated action packed blockbuster films with substance and that is why his films were so popular. Take a look through his directing credits and you will be surprised at the amount of fantastic blockbuster films he has produced, Top Gun, Crimson Tide, Days of Thunder, The Last Boy Scout, Man on Fire, Enemy of the State and so many more (I’m even a fan of Domino, easily his most often criticised work). Without doubt my favourite film of his has got to be True Romance. Scripted by Quentin Tarantino the film tells the story of a young couple in love that get involved in the seedy underworld of drug deals, gangsters and is jam-packed with pop culture references. 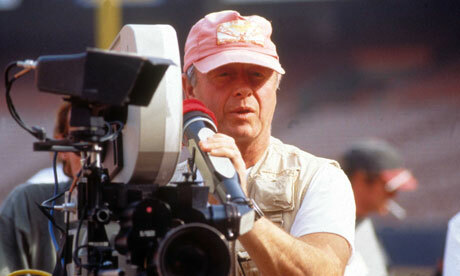 Tony Scott made frenetic, fast paced, entertaining films that were always full of spectacle and escapism. He was a master of his craft and will be greatly missed by film fans everywhere. Hey, did you hear about Sight and Sounds latest Top 10 Film Poll? NO! Where have you been? Right, so every ten years the BFI and Sight and Sound release their list of the greatest films of all time. The list has been going since 1952 and this year’s was the largest ever, polling the verdicts/opinions of some 846 critics, distributors and academics to try and find the greatest film of all time. Now every year since 1962 Citizen Kane topped the poll but, this time it has been usurped by Vertigo, the classic Hitchcock film about an ex-cop who suffers from a severe fear of heights. Vertigo has been slowly climbing the chart since 1982 and even came second to Citizen Kane in 2002. Now as a fun response to this the people over at www.heyuguys.co.uk decided to put together an alternative list, where they asked around 120 bloggers to contribute (including myself) their top 10 films of all time. As you can see there is a huge difference in the lists, I think that may be because the bloggers more than likely had a younger average age than the professionals. Also my personal list was more of a personal favourites list rather than a list of the “best” films, which I think most of the other bloggers did as well, whereas I think the critics probably tried to be more objective. You can check out the full article here – http://www.heyuguys.co.uk/2012/08/06/the-film-bloggers-top-ten-an-alternative-film-poll/ and if you go to page four, look at the right hand side, second from the top you will see my list! So, apart from picking my top ten films for the heyuguys bloggers poll I have had a rather busy week. Firstly I got the chance to see the Olympic Triathlon at Hyde Park, which was a great day. But, more importantly I and my film-making partner had two days of filming! We managed to get a new short done which will be cut and edited in the coming weeks and the plan is to put it online for your viewing pleasure. This coming week we have another two days of shooting and this is finally for the short that I have been talking about for what feels like an eternity! We have planned every last detail for this one because it has a hell of a lot more going on than anything we’ve ever attempted before. Sadly for all of you this will not be going online as we plan to save this one for next year’s film festivals, which could hopefully lead to us getting some funding!